Friday, Jan.18, Brevard College students hit the slopes at Appalachian Ski Mountain in Blowing Rock, N.C. thanks to the Outing Club. Apparently it was quite the adventure considering the vans left around 4 p.m. after classes let out. Students were then led on a three hour journey to the mountain and patience was necessary to remain sane. Beginners were encouraged to go and students had the option to either ski or snowboard upon arrival. Those that went were also encouraged to dress appropriately for the cold night that they would have to endure. The slopes seemed to be in good condition according to students who had gone in the past. More slopes were open this time around with terrain parks compared to last year. 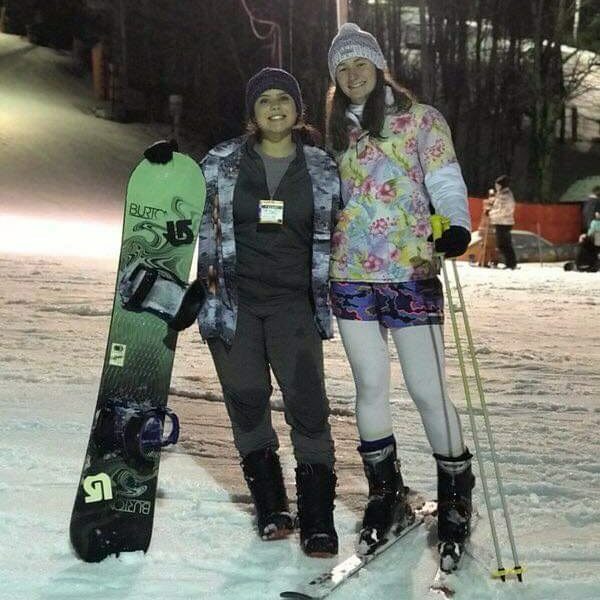 Brevard College students were able to shred the slopes for over three hours before they had to make the long haul back to school. Students arrived home around 2 a.m. after an active and fun-filled night. The first twenty students to sign up through email were the ones selected to go. Others that signed up after the first twenty were put on the waitlist in case any spots became available. The Outing Club has provided this opportunity for two years now, so make sure to sign up as soon as you see the email next year. More vans may be reserved next year based off the overwhelming amount of people that were interested, so keep your eyes open.